A quiet little quilt for that special niche. Note the lovely bouquets . Well made by local Mennonite woman with excellent patchwork piecing and fine quilting. Even includes tabs for a hanging rod! 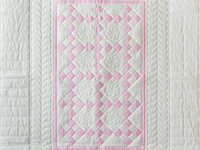 What an elegant quilt for that special little girl! A good example of how less can be more. Note the exceptionally precise patchwork piecing. 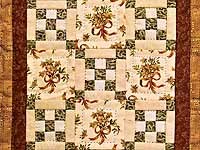 The quilt top was made by the young Lancaster County, Pennsylvania Mennonite quilt designer Connie Lapp and was nicely hand quilted by her mother. A stunning variation on the classic nine patch design! A quilt like no other. Notice all the details. 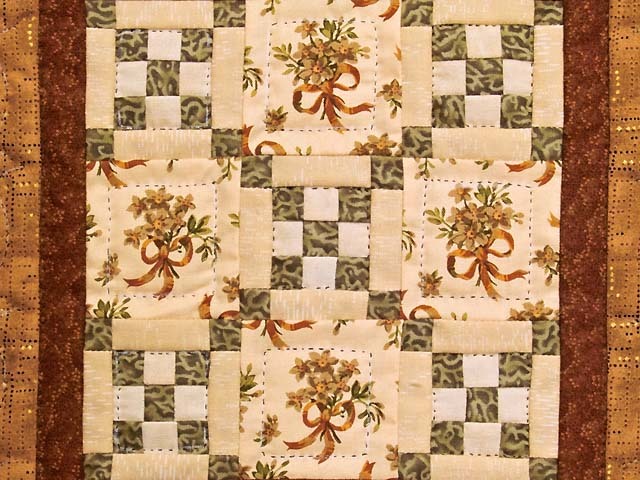 Fantastic quilted scallops, wonderful coloring, excellent piecing and fine abundant quilting. Top made by an Amish woman from northeastern Indiana and quilted by an Amish neighbor. 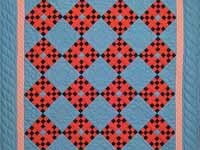 Part of the 'Quilts Remembered Collection'. Includes a sleeve for a hanging rod. 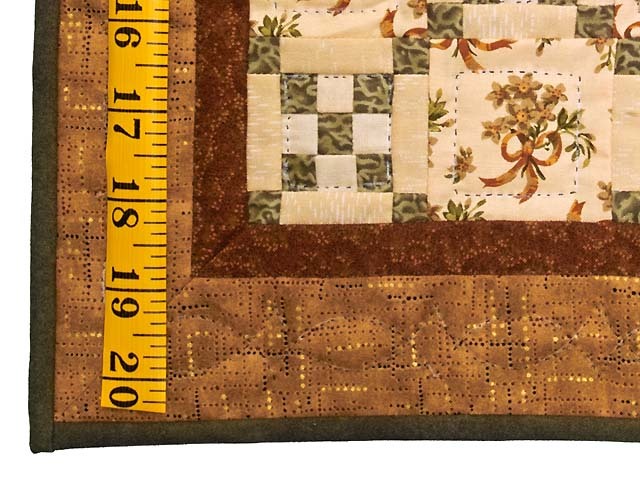 This quilt would look great as a wall hanging, throw or extra special crib quilt! 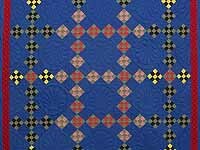 An elegant variation on the classic nine patch design with traditional Midwest Amish coloring. Note the careful piecing and the abundance of fine quilting. Top made by an Amish woman from northeastern Indiana and quilted by an Amish neighbor. Part of the 'Quilts Remembered Collection'. Includes a sleeve for a hanging rod. 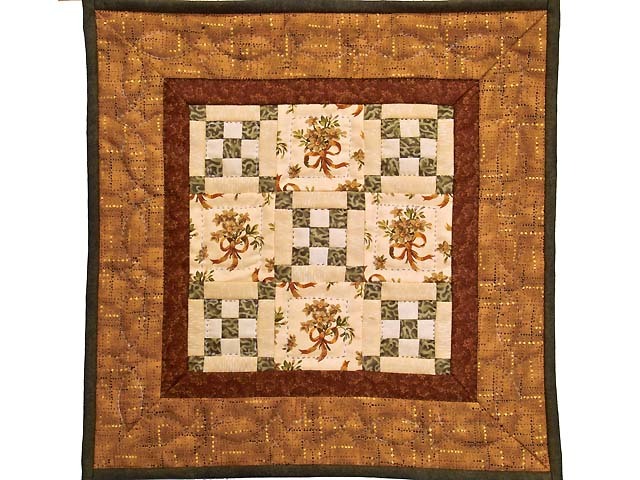 A versatile quilt that would look great as a wall hanging or crib quilt.